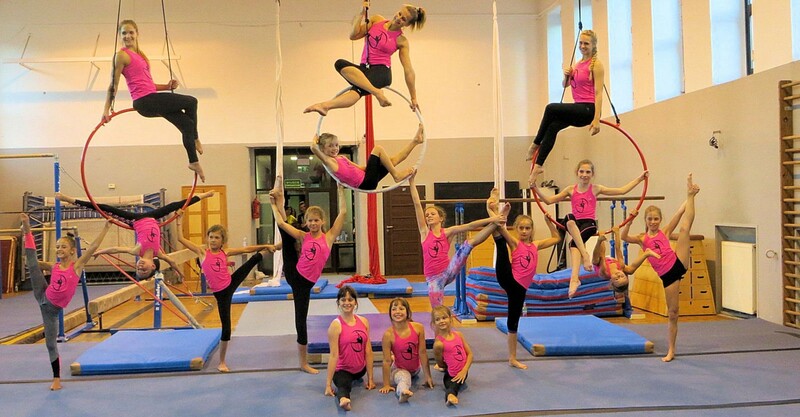 SK TALENT are acrobatic and circus classes taking place in Katowice and Mikołów. The first year of our operation has already been over. 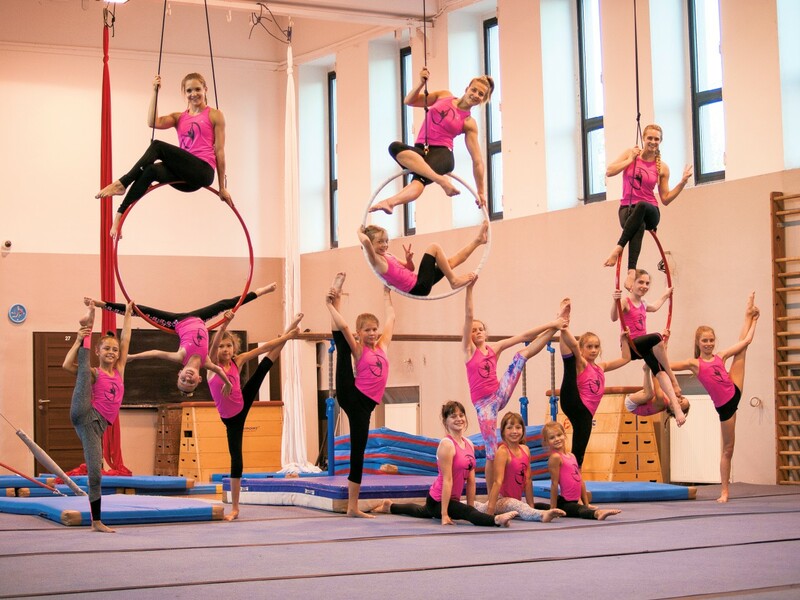 We are proud of such a wide field of interest in the artistic expression of gymnastics. To sum up, we offer classes for children and adults, of an original and unique nature. We try to infect with passion, and emphasize individualism through the expression of emotions with equipment used in circus art. So far, we have been able to fascinate over a hundred people in different age groups. We have organized two gymnastic camps. 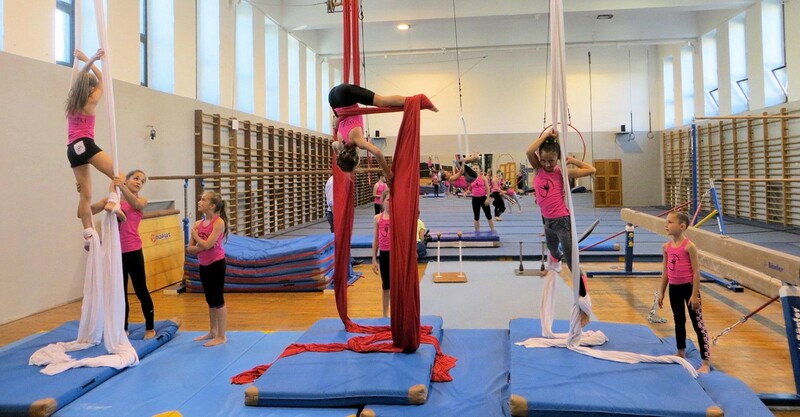 We participated in the fifth Acrobatics and Gymnastics Festivals in Żory. We have prepared an exam ending the first year of school education based on the individual preparation of a 2-minute show including elements learned during the course and also individual musical interpretation. In the plans for the next year we have the realization of the acrobatic and circus performance on the stage of the Cultural Center or Theater in Silesia, as well as further deepening the skills and physical fitness of our students. Innovative classes with three trainers per group. One trainer is for 8-12 people. Acrobatics is a beautiful sport. It combines elements of both strength and ballet. It is amazingly spectacular, it teaches the grace of movement. It gives a motor base for almost any other sports discipline. It develops agility, flexibility, coordination and strength. The origins of acrobatics were already known in ancient Egypt, where it was one of the parts of the funeral rite, in Greece it was called thaumata i.e. wonder (or thaumato-poija - the pursuit of wonder). Plato believed that it promoted personality improvement. While Claudius Galenus (129-199 BC) believed that some of its elements had a prophylactic effect in maintaining health and in healing, e.g. in regaining the sense of balance. In the twentieth century, sports acrobatics developed ( thanks to its introduction to sports such as figure skating and dancing on ice). Its development was also influenced by the renaissance of circus art, in which elements of Chinese acrobatics of less strength nature appeared. A ribbon, tissue or silk are names for an elastic, folded in half, vertically suspended fabric between 5 and 20 meters long. The artist, by means of bindings, wraps of his hands, climbs up the fabric, performing gymnastic tricks such as splits, bends, and arabesques. This gymnastics is performed to music creating a very spectacular performance. Ribbon gymnastics began in 1959. In the French circus school. One of the graduates made the first show of acrobatics on a silk ribbon. 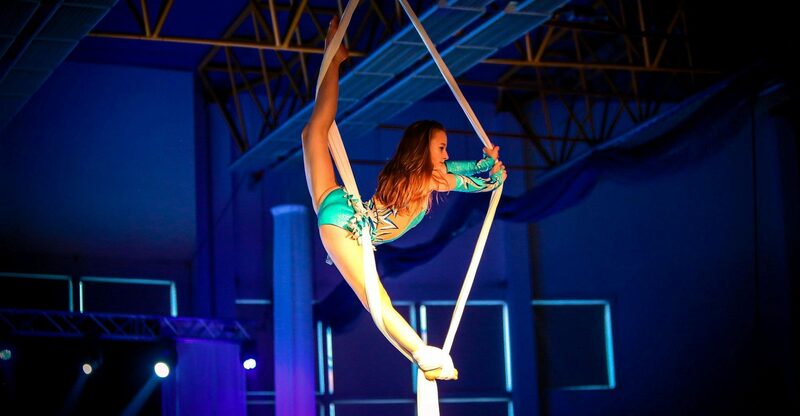 From 1959 to 1998, the ribbon was officially recognized as a prop for acrobatic and circus shows. The popularity of this artistic circus prop in the world was gained in 1998 after an incredibly spectacular show by the artist Isabelle Vaudelle Chasse in the performance of Quidam Cirque Du Soleil. 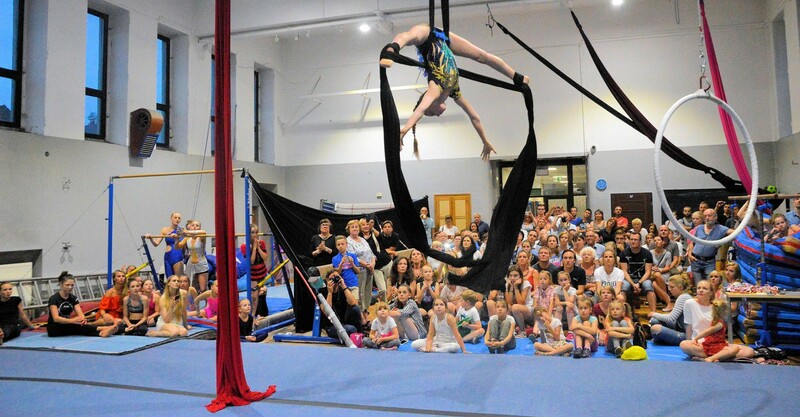 Nowadays, ribbon gymnastics is very well known and popular in acrobatic and circus environments. Used for recreational activities and movement, it allows you to combine gymnastic exercises with art. The wheel we use for aerial acrobatics is a metal hoop with a diameter of about 1 meter. It is suspended to the ceiling at a height of about 1 meter above the ground. The aerial wheel has been used in circus art for 2,500,000 years. Acrobats perform spectacular positions on a spinning wheel using appropriate grips and body bends. During the classes we teach basic positions, appropriate grips, suspends. Poses and figures are performed during the movement of the wheel, so you can feel like in a dream about flying. Classes are of a recreational nature. Our goal is to increase flexibility, strength with a little circus madness. Music accompanies the exercise. We create dance and acrobatic choreographies at the wheel. Classes allow you to feel free and unlimited like a bird. You can become a circus artist and with your passion make a living, travelling around the world and experiencing an amazing adventure.